Welcome to 2016! We hope everyone’s Holiday season was as wonderful as ours. Here’s a quick recap of what is happening in the SocialEngine Communitiy. 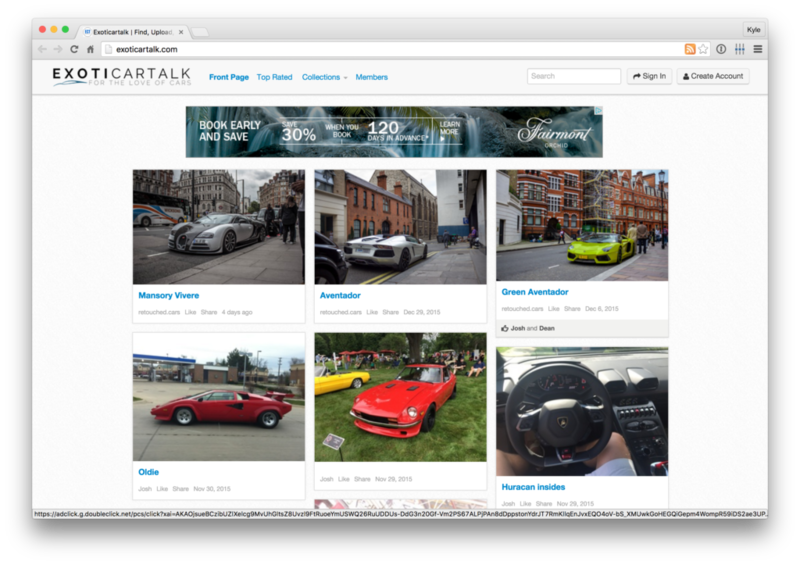 REST API Plugin – This plugin provides robust, secure JSON REST API for SocialEngine. 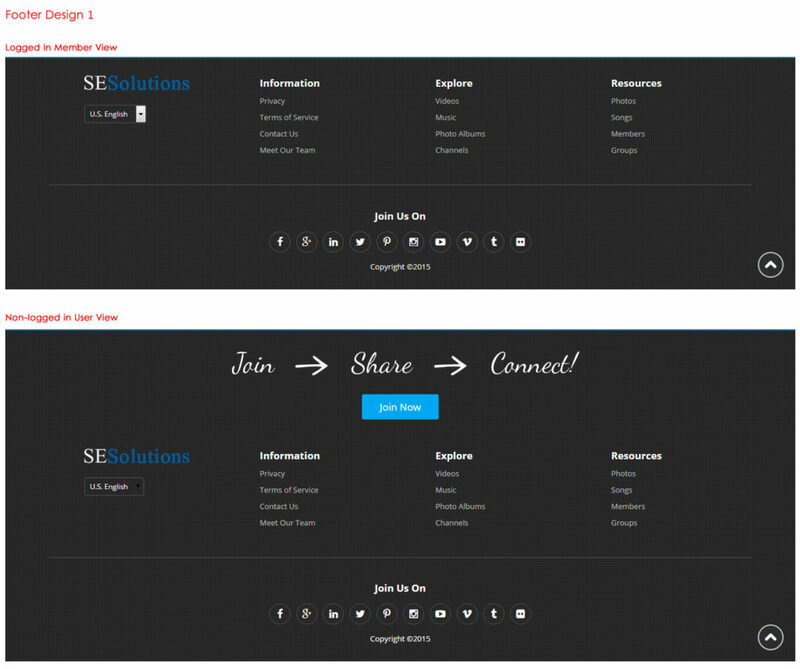 REST API opens up exciting world of possibilities for the SocialEngine platform, and so for your website too. It provides a standardized programmatic interface between your SocialEngine based website and outside applications, thus enabling all types of integrations with external applications and development environments. Advanced Footer Plugin – The Advanced Footer plugin provides various designs and options to display in the footer of your website which will help you showcase the correct information based on the type of user on your website. 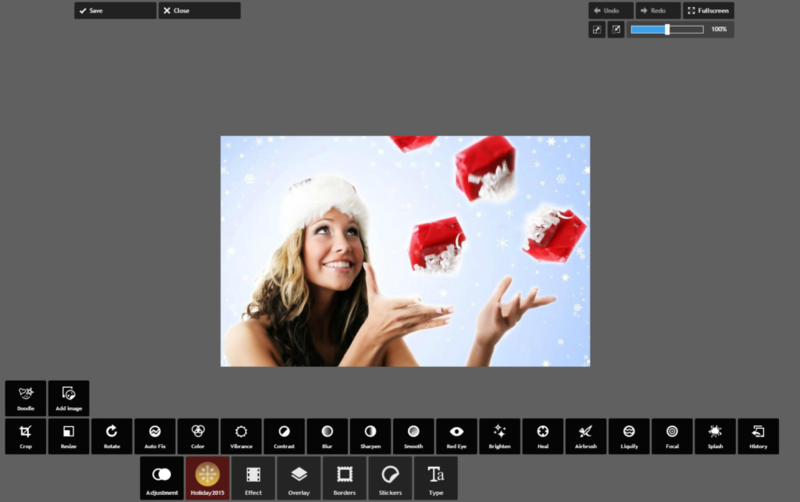 Ultimate Photo Editor – This ultra powerful photo editor works for all modules including 3rd party modules! This contains many ready patterns and effects essentially giving you photoshop power on your social network. Social Login – Social Login is the fastest way for user to login using existing social network accounts. With Social Login, your website will become more friendly and convenience thanks to password security and sign up time-saving. Raven Responsive Cloud Theme – This responsive design features vertical navigation, a landing page to create a great presentation and endless color possibilities, that can be changed with ease. All in One Multiple Forms Plugin – This plugin has powerful Form Management tools, where you can create form questions, segment through categories, subcategories and custom fields, track, analyze and communicate with your inbound form submissions. These managements tools are available for each form. You can also redirect users to any URL of your choice after the form is successfully submitted. For this month’s community roundup we wanted to revisit some of the sites that we have featured before to check back in! Momchat.com – An online hub for all those expecting or new mothers out there. Get together and chat about one of the world’s toughest and most rewarding jobs. 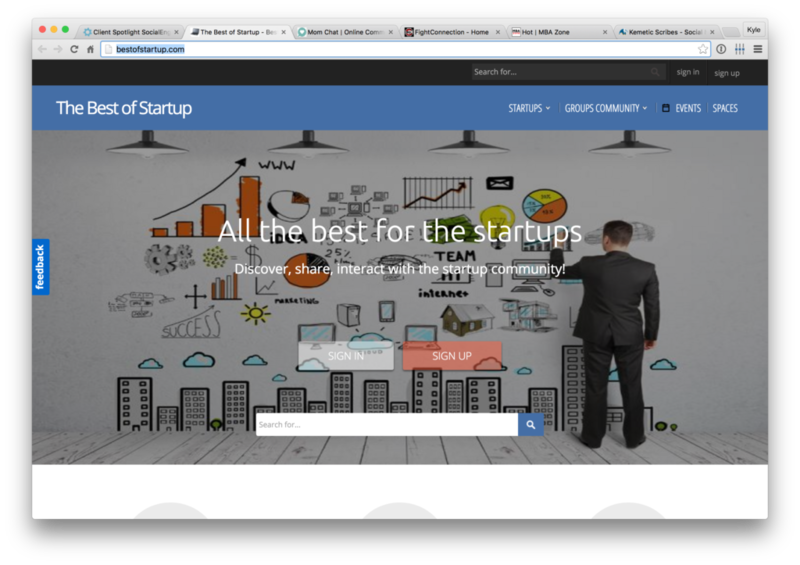 Bestofstartup.com – Discover new and exciting startups around you and around the world. MBAZone.com – An online community for those currently getting or interested in getting their MBA built on our SocialEngine Cloud platform. 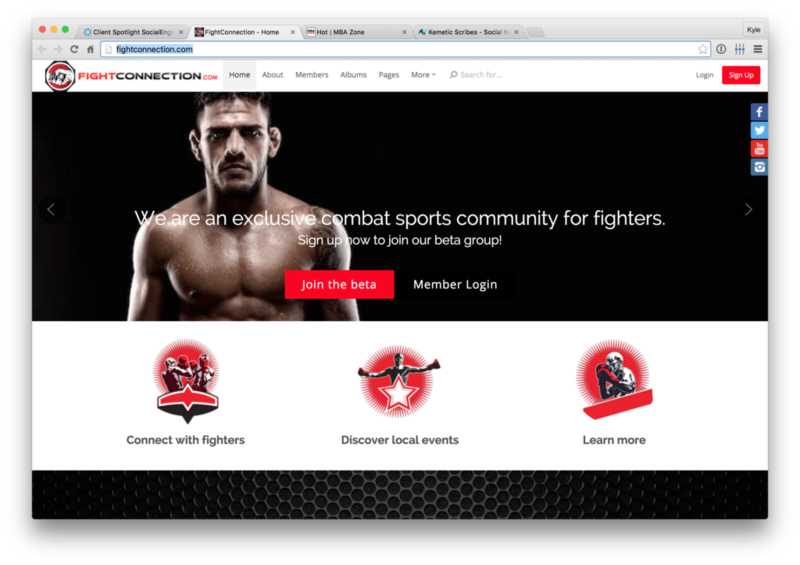 Fightconnection.com – Your online community for all things MMA related. A big thank you for such a wonderful year from the entire team here at SocialEngine! When is there an update to SEphp planned? What will be some of the updates? Hello, we’re very close to releasing an update of SE PHP that will mainly contain important fixes and a few other changes. Apart from that, we’ll also be working on a major upgrade that will bring lots of new exciting features to the software and we hope to do that soon. Stay tuned to the blog and newsletter as that’s were we’ll announce new information when we have it. Thanks. Hello Arkay, posts that were done by deleted users are not deleted because the whole communication thread can get affected by doing this. There will be posts missing in the middle of threads that can make the forums / discussions unreadable or irrelevant. We hope you understand that. 1) Make sure “Anti-Spamming Technique” settings appearing in the Admin > Settings > Spam & Banning Tools section are enabled on your website. 2) Make sure “Uploading profile photo” during signup is a required thing on your site (Admin > Settings > Signup Process). 3) Enable Email Verification for signup. Still awaiting a solution for mass deleting spam comments. Hope you understand deleting them one by one is not an option.